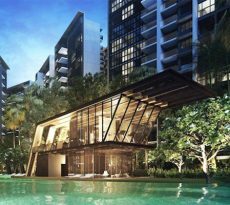 The city fringe of Bukit Timah yields a beautifully master-planned, thoughtfully designed cluster housing development, situated in a posh residential neighborhood: Greenwood Mews. Found on 271 Greenwood Avenue in the coveted eleventh district, it’s a 103-year leasehold intended to be an enclave for good living and well-being. Greenwood Mews is the work of Golden Development and Astoria Park Pte. Ltd., and it’s set for TOP by the end of this year and legal completion by 2019. The upmarket cluster development presents an assemblage of 62 landed houses, each with a generously-spaced floor plan and gorgeous interiors. With the considerable size, units at Greenwood Mews are ideal family homes – they’re most suitable for young couples who are planning to start a family, or for families already with a number of children. These homes are well-endowed, with a total of 4 levels – two floors plus a basement and a roof level. Every unit has four bedrooms, a guest room, a spacious living room and dining area, plus wet and dry kitchens. The open rooftop terrace is essentially a private leisure deck, furnished with a hot tub and a barbecue. High-quality fixtures and fittings are used, including pieces by Hansgrohe and Kuppersbuch. Certain units even have private gardens or direct access to the communal swimming pool. As a complement to the lavish living spaces, Greenwood Mews also provides an abundance of facilities that the residents can pleasure in. The ensemble is similar to a those of a tropical resort facility, so you can really relax to the max. For instance, if you were to live in this charming community, you will have the special privilege to …. … Go for an invigorating swim in the 50-metre Lap Pool. … Take a cooling dip in the Lounge Pool. … Get bronzed at the Pool Deck. … Soak up some sun – but not too much sun – under the Cabanas or the Tropical Gazebos. … Have a luxurious time of pampering at the Massage Suites. … Loosen up at the Spa Beds or the Spa Seats. … Work out a sweat at the Fitness Avenue. … Work out without sweat at the Aqua Gym. … Celebrate Life in the Clubhouse. … Catch some serenity at the Water Court, the Water Wall, or the Cascading Water Feature. … Stretch in the Landscape Boulevard. … Enjoy the vibrancy in the Arts Lawn. … Let the little ones play in the Wading Pool or the Playground. … Live easy, as the community is guarded by security 24/7. … Go on a nature trip at Bukit Timah Nature Reserve. … Find some peace and quiet in the MacRitchie Reservoir. … Be surrounded by the breath-taking flora of the Singapore Botanic Gardens. … Live it up at the Singapore Island Country Club, the British Club, or Bukit Timah Saddle Club. … Play a few rounds at Champions Public Golf Course or Rainforest Sports Hub. … Pick up your daily essentials and groceries at NTUC Fairprice, Cold Storage, or Giant Hypermarket. … Taste the gastronomic offerings along Greenwood Avenue or the many other nearby eateries. … Benefit from the abundance of public transportation stops: With the Downtown Line and its twelve new MRT stations in Bukit Timah, you’ve got even better, faster accessibility. The Downtown Line crosses the Botanic Gardens Station (Downtown / Circle Lines), Newton Station (Downtown / North-South Lines), and Little India Station (Downtown / North-East Lines. From the Botanic Gardens Station, you can get to Buona Vista Station two stops down (Circle / East-West Line), or Bishan Station four stops in the other way (Circle / North-South Lines). 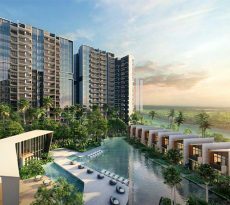 … Drive down quick routes provided by Bukit Timah Expressway, Pan-Island Expressway, and other major roads. 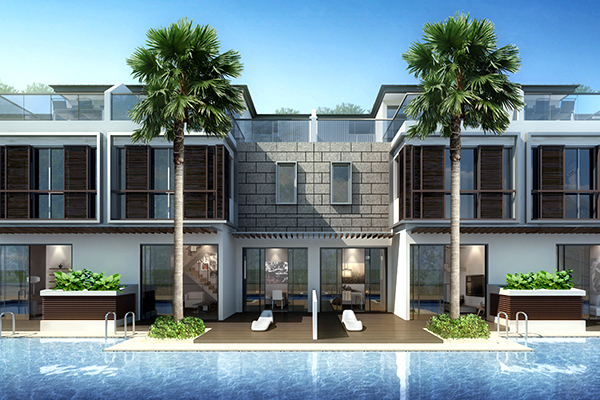 … Enjoy quick, easy access to the Central Business District or other parts of the island. 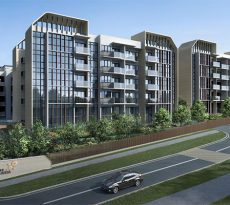 What’s more, Greenwood Mews is near to several schools, such as Raffles Girls’ Primary, Nanyang Girls’ High School, Hwa Chong Institution, Nanyang Primary School, Saint Margaret’s Secondary, and National Junior College. There are also some international schools in the vicinity, like Hwa Chong International School, The Swiss School, Hollandse School, and Eton House Pre-School. As you can see, Greenwood Mews is THE place to live in. Ideal in so many ways, it has got to be on your property wish list. But don’t stop at wishing – contact iCompareLoan mortgage broker so your wish can come true. Their services provide a breezy way to compare home loan Singapore.